All cabs in Calgary would be required to install security cameras as part of the city’s move to make commuting at night safer. A report coming to council Monday is recommending bylaw changes be introduced to make the remaining 25% of city cabs lacking video surveillance to install cameras by July 2013. Ald. Diane Colley-Urquhart, chair of the transportation and transit committee, said the move is part of council’s direction to make cabs safer, more accessible and to provide timely service, especially on weekend evenings. “The drivers were telling us, a lot of times they don’t like driving at night — people are drunk and they throw up and do all these kind of things,” she said. “They fear for their safety. Out of the city’s fleet of 1,311 cabs, 75% are already equipped with cameras. Stephanie Ho Lem, chair of the Taxi and Limousine Advisory Committee (TLAC), said having cameras installed in all taxis would be a deterrent for violence against the drivers. A few years ago, a study on the benefits of making shields mandatory to protect the drivers was done but the safety features weren’t implemented, she said. “I think the cameras were more favourable than the partition shields,” she said. Once changes are made, the city will evaluate if installing shields is still needed. If you are looking to buy cameras for a security or surveillance system, then you might have experienced the overwhelming feeling one gets when looking at all the available options on the market. 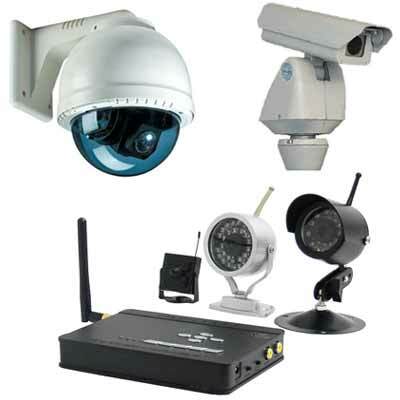 How can you really select a video camera for surveillance system with all those possibilities? Even more importantly, what cameras are best for you? What should you be paying for a camera or for an entire video surveillance system?These are all vital questions, which most people ask. Firstly, the function of a video surveillance system is important to know. Getting one of these devices can’t physically prevent a crime from occurring, however it actively discourages perpetrators and if you are hit, it helps immensely in catching whoever committed the act. There are many different types of cameras, some of which are suitable for homes or for businesses or have a special feature, such as those with infrared technology. It all depends on your needs and the circumstances of your buying the product. The price range varies greatly too with all the different options, extending from hundreds of dollars to thousands. Being a click or a call away, our experts can help you determine and decide on all these factors. We can find the perfect surveillance system for you and your home or business and give you the peace of mind you deserve. Access control systems are physical and electronic systems, which allow an organization to handle who enters or leaves a facility through a computer-based information database. This product is necessary to maintain and secure essential, classified information, and equipment, as well as other assets. Basically, an access control system is built to control and restrict specific areas that aren’t supposed to be open to the public. These devices are particularly important for businesses and organizations that handle sensitive data and would like to maintain the confidentiality of this information. An access control system in this situation would only permit those who are registered into the administration software to gain entry while keeping unwanted visitors out. There are many different types of access control systems, some of which allow a door to be unlocked with electronic cards, and others such that use hands geometry models, fingerprint checking products, keypads, and balanced magnetic switches. Every one of these access control technologies need a distinctive multiplexing system as well as servers, all of which we provide. Should someone try to breach this system (as recognized by the software), they will be locked out while your assets are safely inside. The City of Vancouver is rapidly losing track of who accesses closed-circuit television (CCTV) footage. That’s according to the Georgia Straight, who reported that the city doesn’t always log who accesses footage from CCTV cameras or how often. Parties hoping to access CCTV camera footage must fill out a request form. But according to the Straight, that isn’t happening as often as the footage is being obtained. The paper reported that the Vancouver Police Department alone has accessed CCTV footage “30 or 40 times” since the 2010 Olympics but the city only has two accesses on record. The Straight also reported that a log must be kept showing CCTV proposals and accesses to footage. “No such log exists,” according to the paper. Micheal Vonn of the B.C. Civil Liberties Association told the Straight that “many loud promises” were made about how the city would manage hidden camera footage when it brought in the technology. “If the gap between the practice and the policy is this large, it, of course, throws our trust in the policy-development process completely out the window,” she said. The City of Vancouver obtained new surveillance technology after the provincial government gave it $400,000 in 2009 for a “redeployable CCTV unit for special events and emergencies,” 24 Hours Vancouver reported. Critics charged at the time that the value of CCTV in halting crime had “yet to be proven.” News 1130 went to the streets of Vancouver to ask people how they felt the city was managing footage from CCTV security cameras. One respondent, Andreas, said that citizens have nothing to worry about if they’re not doing anything wrong. “This is not a police state and I don’t really see any signs it’s going to be.” Another respondent, originally from London, England, said she was used to being captured on CCTV cameras “100 times a day.” “At the end of the day, it’s there for your safety,” she said.